Players will be rewarded for watching the league. Blizzard has signed a two-year streaming rights deal with Twitch to bring the Overwatch League to the broadcasting platform. Overwatch League will stream on Twitch for the first two seasons of the highly-anticipated esports league. Twitch is the exclusive third-party provider for the Overwatch League worldwide, save China. Matches will be streamed in English, Korean, and French. Twitch viewers will receive “unique Overwatch League in-game items with exclusives” for watching the broadcast, according to Twitch. More details will become available soon—but viewers can at least expect Overwatch League cheermotes. Overwatch League’s preseason exhibition matches were not streamed on Twitch—a move that surprised much of the Overwatch fanbase. Blizzard’s other tournaments are often found on the streaming service, and many simply expected Overwatch League to be there, too. The preseason matches, instead, were broadcast on Major League Gaming’s own streaming platform and on the Overwatch League website. The Overwatch League will begin Jan. 10 at Blizzard Arena Los Angeles. Tickets for opening day are sold out, but fans can still buy tickets for the rest of the season. 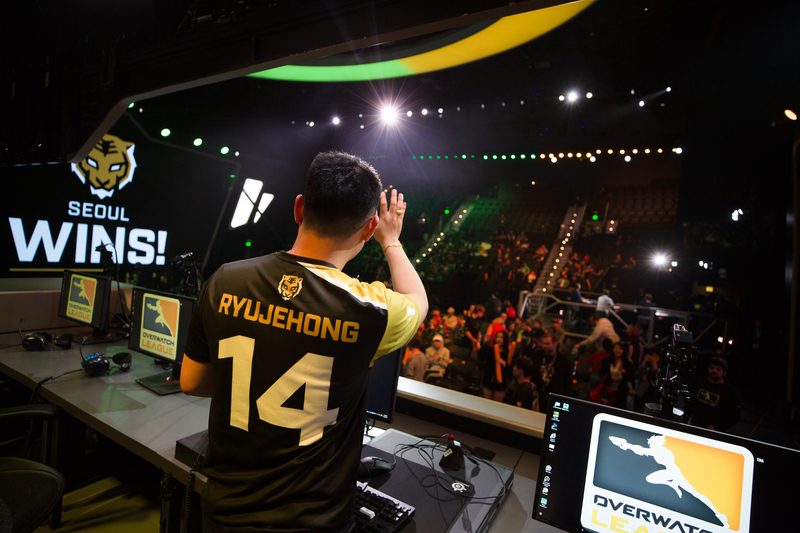 When the Overwatch League begins at 7pm ET on Jan. 10, it’ll be broadcast on an Overwatch League Twitch channel.